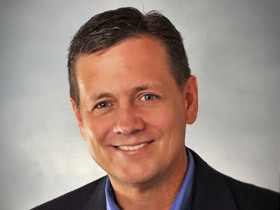 The news that the search committee looking for the next president of the North American Mission Board had unanimously chosen Dr. Kevin Ezell as their nominee is great news for the Southern Baptist Convention. I have known Kevin Ezell for the last 15 years, and I know why Southern Baptists need him in this crucial role. FIRST, because Kevin is a man of such stellar character. This comes first, of course, and it is paramount in any leadership position. I have seen Kevin in situations of trial, stress, challenge, and turmoil, and he demonstrates the most genuine Christian character throughout. He is a man who has been tested and tried, and his experience has revealed a strength of character that we all will need and depend upon at the helm of the North American Mission Board. Given my experience with Kevin, I would entrust him with anything — including my wife and family. SECOND, because Kevin is a truly gifted pastor. The Mohler family joined Highview Baptist Church in Louisville in 1994, soon after our arrival in the city. Those were very troubled times, given the stature of the Seminary in the Louisville community. Highview was a warm congregation that welcomed us generously and graciously. It was really a large neighborhood church in the Fegenbush area of Louisville, and it was well-known for its conservative biblical convictions and passion for evangelism. 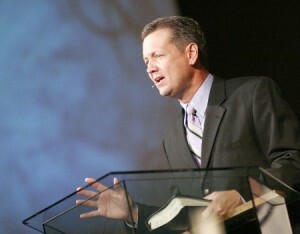 In 1996, Kevin came to Highview as pastor in a time of great and unexpected trial for the church. He was very young, but he already had a well-established reputation as pastor of First Baptist Church, Marion, Illinois. Kevin and Lynette and their young family moved to Louisville and quickly became a part of our lives. Very quickly, we learned that Kevin Ezell is a gifted pastor who gives everything he has to his role and office. He has a wonderful sense of humor, a keen pastoral touch, and a real feel for the congregation. He feeds, leads, and encourages with skill and dedication. I have also seen him do the hard work of ministry, confronting sin and dealing with it biblically. THIRD, because Kevin is a born leader. Where you find Kevin, you rarely find him alone. He mentors, leads, and energizes constantly. He has tremendous leadership skills that are desperately needed in the Southern Baptist Convention and at the North American Mission Board. A host of younger men all over this denomination will tell you of the impact Kevin has made on their lives and ministries. The evidence of his leadership is not only evident in the remarkable growth of Highview Baptist Church, but also in the growth of the leaders within and beyond the church. Just ask men like Dr. Jimmy Scroggins, senior pastor at First Baptist Church, West Palm Beach, Florida. We need his leadership at the North American Mission Board. FOURTH, because Kevin is a true visionary. When he came to Highview Baptist Church, Kevin found a large neighborhood church. Within a matter of just a few years, Highview was a large regional church with a ministry to the entire city and beyond. The successful establishment of additional campuses and an entire range of ministries is testimony to his strategic vision — and his ability to turn a vision into a reality. Nothing stays the same for long around Kevin. FIFTH, Kevin is a man of tremendous Great Commission passion and commitment. He is a personal evangelist, a leader of evangelism, and a pastor of a church that models evangelism. He is a man of world mission vision, having led Highview to see itself as a world congregation. He has led mission trips around the world, and Highview now points with pride to a large number of former members who are now serving around the world with the International Mission Board — with more in the pipeline. Highview has worked with the North American Mission Board in establishing new churches around the United States. A sense of Great Commission zeal permeates Highview as a church. SIXTH, Kevin is deeply committed to the Southern Baptist Convention and its work. When I first met him, he was serving as President of the Illinois Baptist Pastor’s Conference. Just this last year, he served as President of the SBC Pastor’s Conference. He has served as a trustee at Midwestern Baptist Theological Seminary, and he is a graduate of both Southwestern [M.Div.] and Southern [D.Min.]. He and his wife Lynette are also graduates of a state Baptist institution, Union University, where two of their daughters are now students. He has mentored many into deeper involvement in the SBC, and his leadership is truly needed now. He has taught many young ministers through his role on the Southern Seminary teaching faculty. You find great loyalty to the SBC in his wake. SEVENTH, Kevin is a man of great conviction. He has taken stands for the full authority, truthfulness, and inerrancy of the Bible. He has defended the faith, and he holds fast to biblical truth. He can be trusted to do the same at the helm of NAMB. FINALLY, Kevin and Lynette Ezell are a team. Their marriage glorifies God and encourages all. Lynette is a gifted woman who has committed her life to Christ, her husband, and her family. Their family, rounded out with children Anna, Shelly, Taylor, John Michael, Libby, and Micah Lyn, is a testimony to the redemptive love of God and the example of a family fully devoted to Christ. Southern Baptists will find great pride in them. I am losing a pastor, but gaining a tremendous SBC colleague. I can’t wait to see what God does through the leadership of Dr. Kevin Ezell as President of the North American Mission Board.